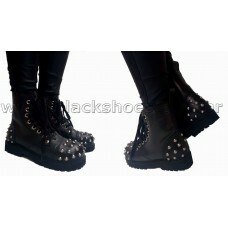 Real velvet leather mid-calf boot with eyelet details. 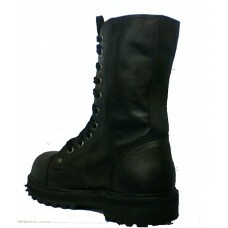 MANUFACTURE BLACK SHOESAVAILABLE IN SIZ..
Real leather mid-calf boot, with flames as details at vamp, and buckles. 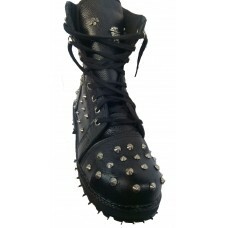 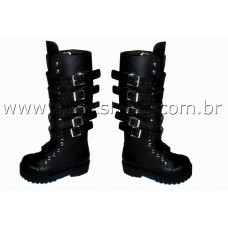 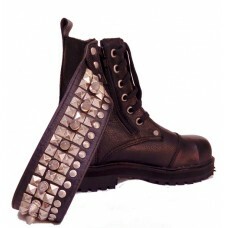 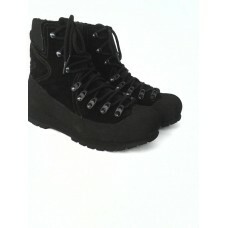 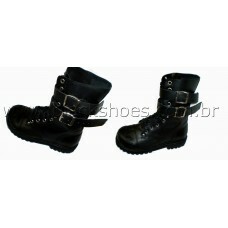 MANUFACTURE BLACK SHO..
Real leather mid-calf boot with buckles and chains. 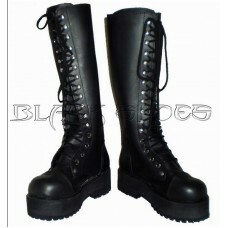 Available sizes from MANUFACTURE BLACK SHO..
Real leather knee-high boot with buckles.MANUFACTURE BLACK SHOESAVAILABLE IN SIZES INTERNAL SHOE..
Real leather boot, with real patent leather details and buckles. 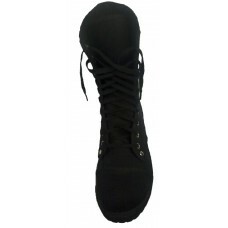 MANUFACTURE BLACK SHOESAVAILA..
Canvas ankle bootMANUFACTURE BLACK SHOESAVAILABLE IN SIZES INTERNAL SHOE SIZE CHART..
Real patent leather ankle boot.MANUFACTURE BLACK SHOESAVAILABLE IN SIZES INTERNAL SHOE SIZE CHA..
Real leather ankle boot with buckles, rivets, and spikesMANUFACTURE BLACK SHOESAVAILABLE IN SIZES ..